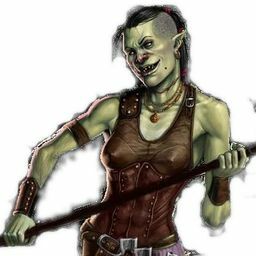 A reedy half-orc who favors dark clothing, Grok’s neck is marked by an old, ragged scar. 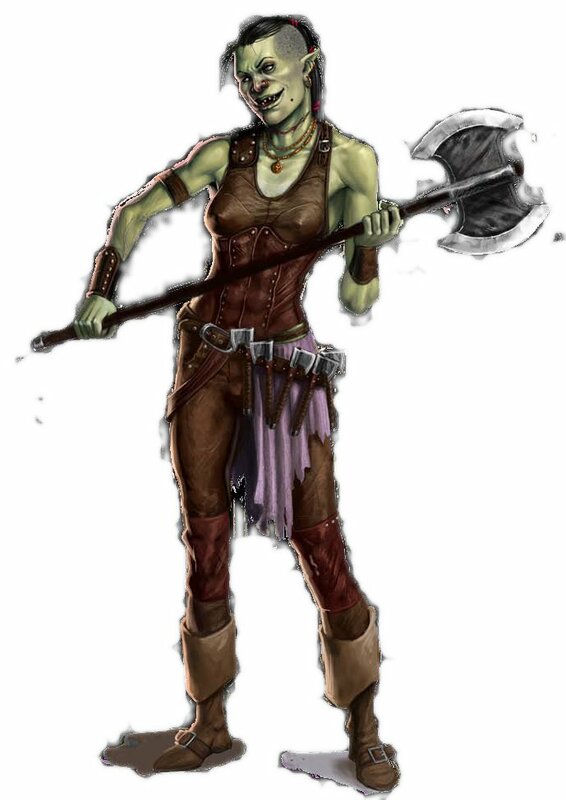 She carries a notched greataxe and an array of throwing axes hangs from her belt. Grok frequently grins toothily, knowing the unnerving effect it has on people.